President Pratibha Patil presented D Ramanaidu, a veteran producer with 130 films in a dozen languages, the Dada Saheb Phalke award for his outstanding contribution to cinema. 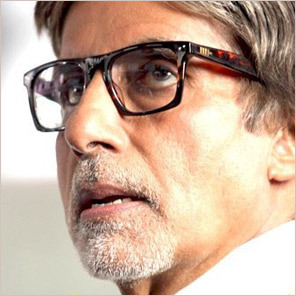 All time Superstar Amitabh Bachchan received the best actor award for his role in ‘Paa’. The prizes were given away at New Delhi on 22/10/2010 during the 57th national film awards presentation function. Ananya Chatterjee received the best actress award for her role in Abohoman. Rituparno Ghosh for his Bengali film Abohoman received the award for best direction. Malayalam Movie Kutty Shrank received best movie award for the year, while 3 Idiots received the best Film award for wholesome entertainment. Rakesh Omprakash Mehra received the Nargis Dutt award for best feature film on National Integration Dehli 6. Farooq Shaikh received the award for the best actor in Supporting Role for the film Lahore. Arundhati Nag received the best actress award in supporting role for film Paa. Diamond Bra costs 2.5 million pounds!!! Brain can ‘see’ objects by ‘listening'!